It's almost time for the Super Bowl! 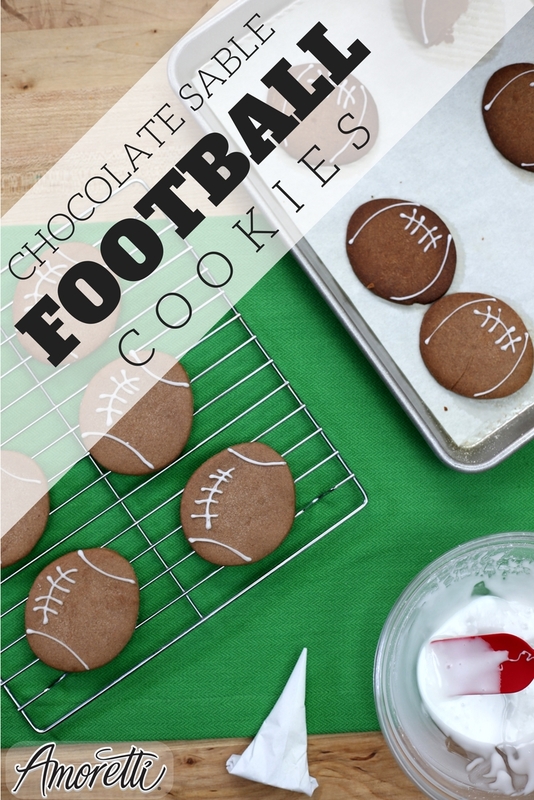 Showcase your passion for football with these buttery cookies! Add egg yolks and Madagascar Bourbon Vanilla. Mix well, stopping to scrape the sides of the bowl. Then add sifted dry ingredients all at once. Mix well, stopping to scrape the sides of the bowl, until dough comes together. Wrap dough in plastic and chill for at least an hour before rolling out. This dough is very soft and will get warm quickly while using. If not using all at once, wrap what is not needed and place in refrigerator. Roll out dough to 1/8” and cut with football shaped cookie cutter. Chill for 10 minutes before baking for 10 -15 minutes. Mix powdered sugar and milk until smooth. Pipe icing on cooled cookies to resemble footballs.